I’m not sure where the time goes, but once again we’re on the cusp of the school holidays here in Victoria. Does anyone else feel like that? That the terms seem to whoosh by at lightning speed? As we’re not going away these holidays, over the last little while I’ve been thinking about how we might spend the next couple of weeks. Now the kids are older – my three boys are aged 12, 10 and 7 – the school holidays are a lot easier. I don’t feel like I have to over schedule the holidays as I did in the old days to maintain my sanity. These days they’re much happier to relax and potter at home, although some for longer periods than others given my mix of one introvert and two extroverts. That said, while down time and slow mornings are a priority, I do try to think ahead of what we might do before the holidays begin – friends we might catch up with, what’s on these holidays – events, attractions and festivals – and so on to punctuate the home hangs. Holidays can be expensive though, so I try to book in a couple of things each week and include as many free or budget friendly activities as possible. I also try to schedule any medical/dental/haircut appointments for the holidays too, to relieve the pressure of too many after school commitments during term time. As well as balancing out what the kids need and trying to keep a lid on things expense wise, I also try to factor in times when they’re occupied at home so I can get some work done. Thankfully, these holidays, I’m doing project based work and writing blog posts, so I have some flexibility around my work times, although it’s always a juggle, isn’t it? Other times, when I’ve needed full days to work, I’ve enlisted Mr SnS, grandparents, my sister and school holiday programmes to get by. So here’s a bit of an overview of what we’re planning to do these holidays – I’d love to hear what you’ve got planned too. 1. Movie Marathon – these holidays I want to introduce the kids to some more ’80s faves including Indiana Jones and The Goonies. (They’re already obsessed with the Back to the Future trilogy). My older boys also want to watch The Hobbit as Mr 12 read it this year and is keen to see the epic movies. 2. Play Date – we generally invite an entire family or just a friend – whatever works for the kids, their ages and stages. Sometimes we host, or if the weather is good, we’ll meet at the park. 3. Toy Clean Out – it’s time the the kids cleaned out their toys to either donate or, if they need more incentive, to sell. Our cubby house also needs a clean out. 4. 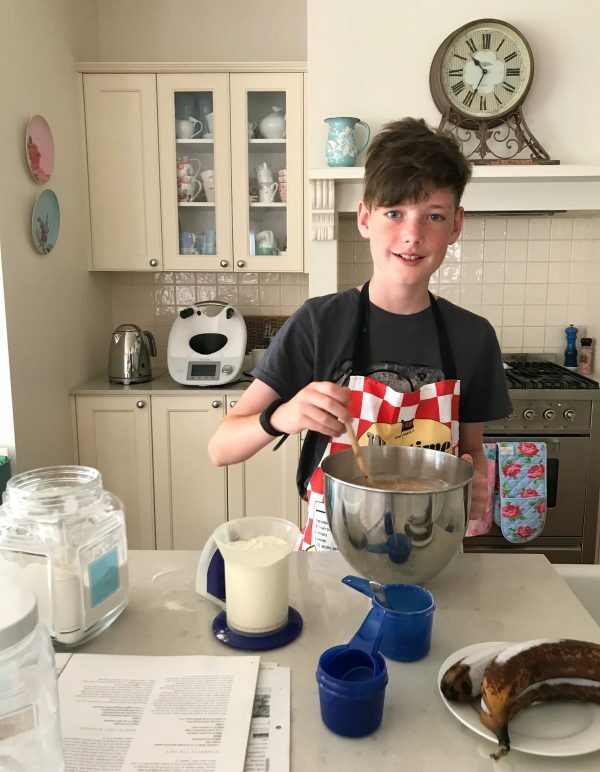 Cook – sometimes I like cooking with the kids, other times, not so much. The key, I’ve found, is to give everyone a job and to cook something you needed to cook anyway (scrambled eggs for lunch; a cake for when friends visit; homemade pizzas for dinner) so it’s not adding to the load. Make sure cleaning up – as well as licking the bowl – is part of the deal. 5. Gardening – my kids won’t suggest gardening as a fun thing to do, but they do get involved if I start and give them a job. Even if they tidy up the cubby house or their sports equipment while I’m pottering, I figure that’s a win as we’re all working and getting some Vitamin D too. Easy jobs for the kids include sweeping, watering and taking weeds etc. to the green bin. 6. 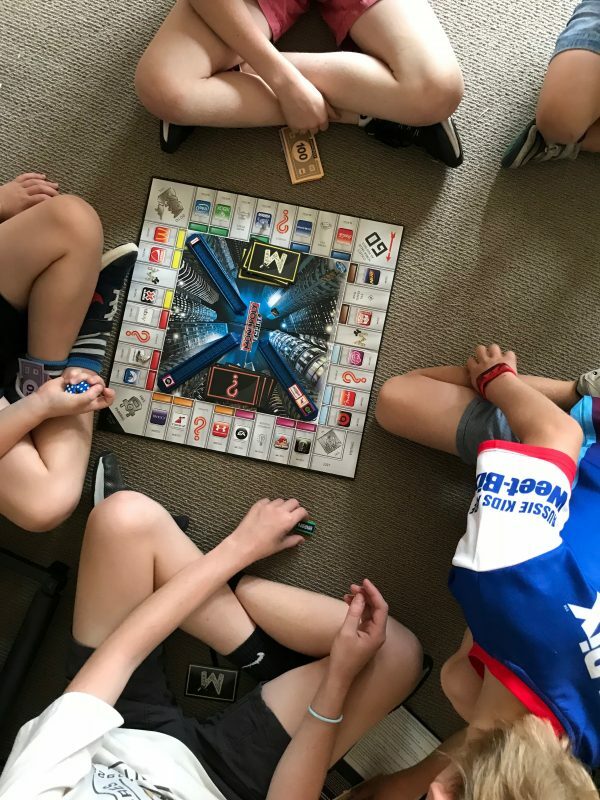 Board Games – I’m a board game nerd from way back and am pleased to report my boys are following suit. Popular games at our place at the moment include Monopoly, Boggle, Scrabble, Sequence and Cluedo. Yahtzee is always a winner too. 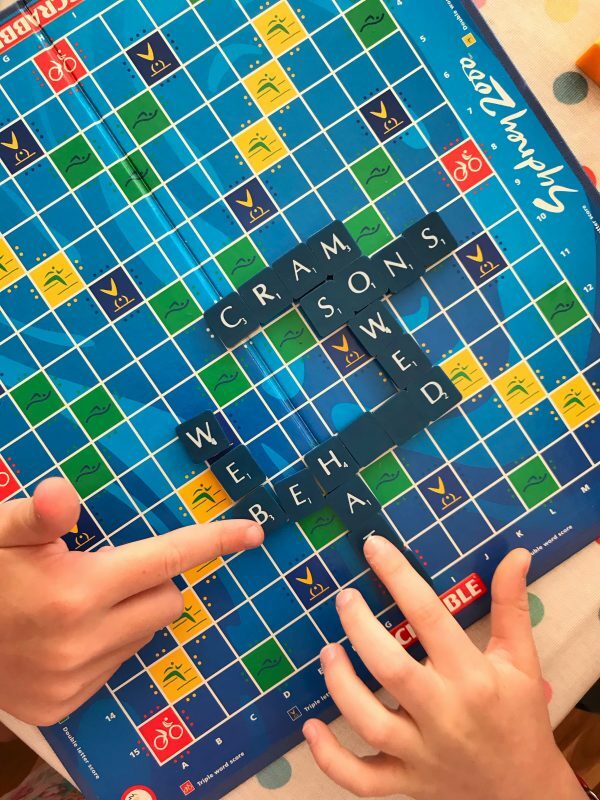 Often they set up a game and play it over several days, which does my head in from a mess perspective, but it’s worth it for the entertainment factor. 7. Crafty Town – it’s time to get out the craft kits I’ve stashed away and clear the dining table for a Craft-A-Thon. It can be as simple as making cards, beading or drawing or more involved like Kitchen Science Kits and other projects. My younger boys have recently rediscovered our kinetic sand and their Qixel kits too which have keep them entertained and off screens. 8. 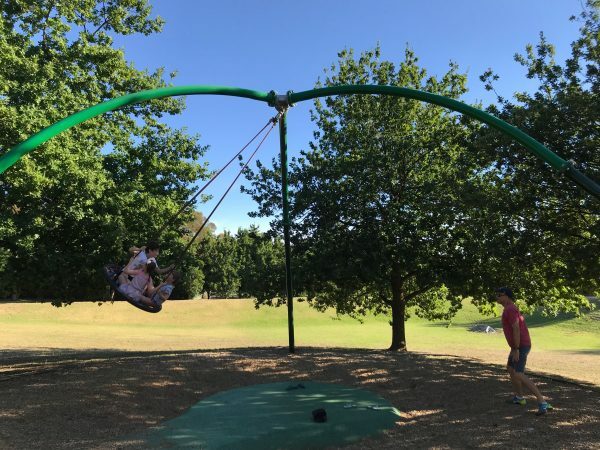 Park Plays – we’re lucky to have some fantastic parks here in Melbourne and I’m sure you have some great options in your neighbourhood too. I try to mix things up and try a new park in a new suburb or go to an old favourite with some different friends. We always pack the footy/ball or cricket set if team play is an option. 9. 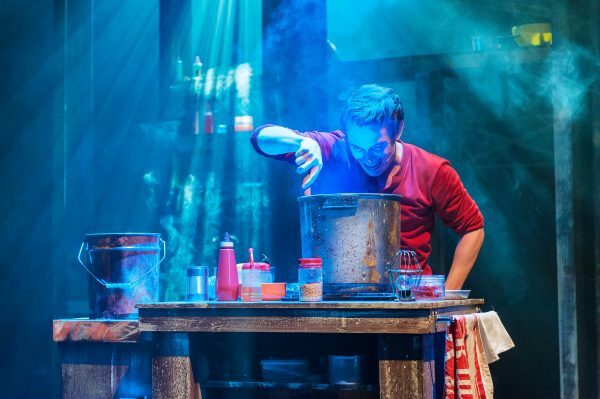 Live Theatre – we’re off to see Roald Dahl’s George’s Marvellous Medicine at the Arts Centre Melbourne’s Playhouse from 25 – 29 September (part of the national tour, pictured below). 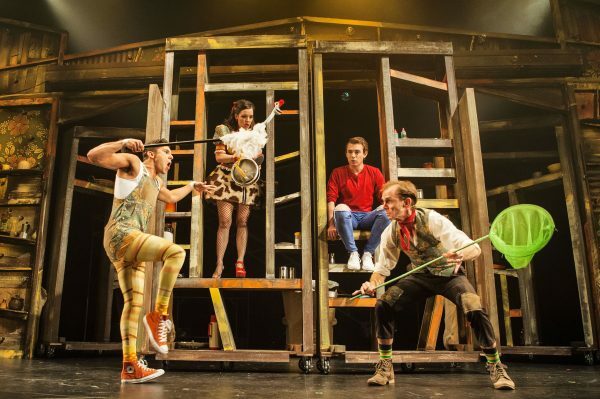 The show is the work of the award-winning team behind the multi-Helpmann Award nominated Australian production of Roald Dahl’s Revolting Rhymes & Dirty Beasts. For ticket details, head here. As massive Road Dahl fans, we can’t wait! Afterwards, we might have a play at Birrarung Marr or have lunch at Riverland or The Arbory on the side of the Yarra. 10. Rollerskating – I took my guys rollerskating for the first time last holidays and they absolutely loved it. They blade while I go old school, but we all have a ball. 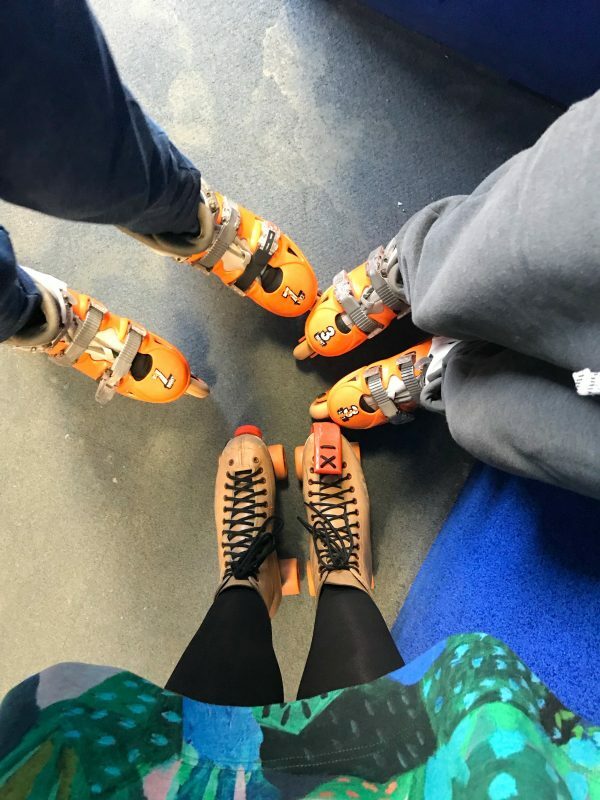 It’s a well priced activity too – we go to a 2.5 hour arvo session at Caribbean Rollerama for $10. You can hire blades or skates for a few bucks extra. 11. City Sights – We love to catch the train into the city and visit one of our favourite galleries or museums such as the National Gallery of Victoria, ACMI, The Immigration Museum or the Melbourne Museum. Last holidays we took my Mum to high tea at The Westin and then went to see the Alice in Wonderland exhibition at ACMI which was a fun day out. 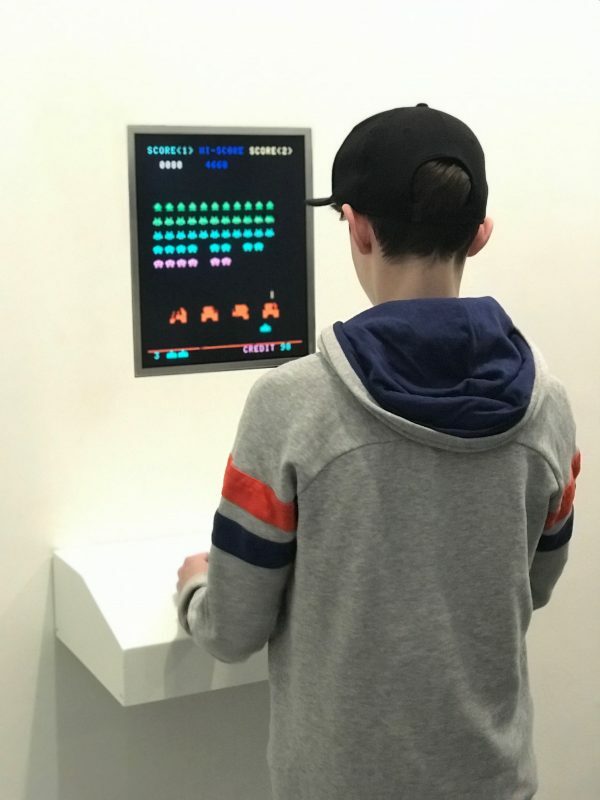 We also took the kids to MoMA at the NGV, pictured below, which was fantastic. It closes on 8 October 2018. Other attractions include the Old Melbourne Gaol, riding the free City Tram, Polly Woodside, the MCG Sports Museum and the Aquarium. Just out of the city, the Zoo and Scienceworks are other faves. 12. 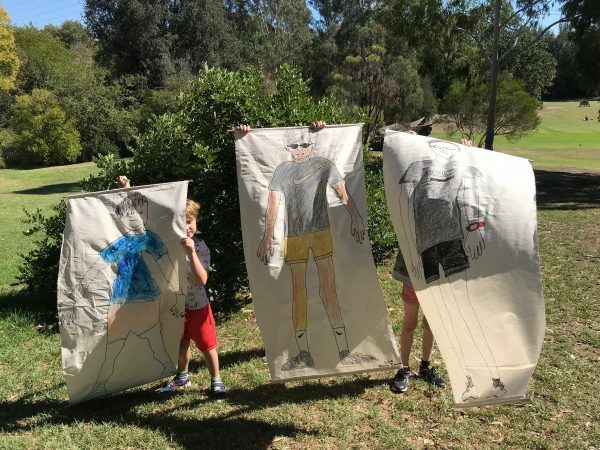 Holiday Programmes – I always check out what the local community arts centres are offering over the holidays to see if there’s something my boys might like. Last holiday my youngest did a class where he learned and then performed the choreography of Michael Jackson’s Thriller. These holidays, he’s doing a Bruno Mars’ Uptown Funk class. (I totes would have died and gone to heaven if I did a Whitney Houston/How Will I Know Dance Class in primary school). 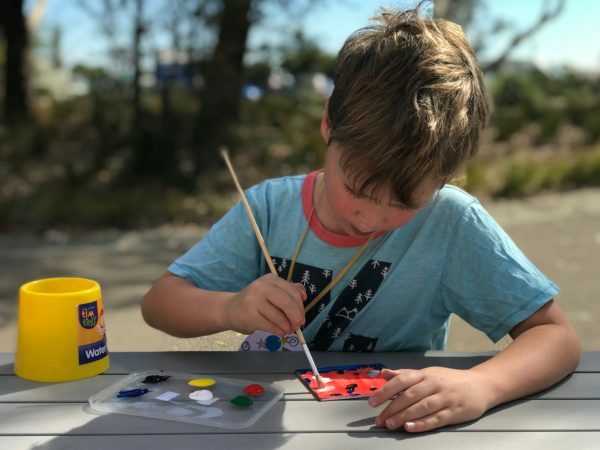 Previously, all three of them have done a school holiday session at Heide Museum of Modern Art (pictured above), and an all day art day at our local community arts centre. 13. 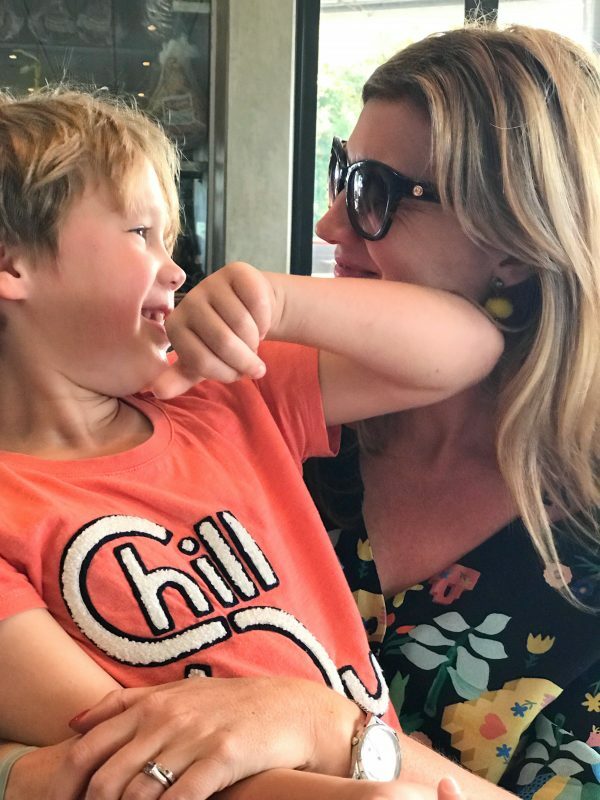 Library Love – as well as free events and activities over the holidays, I like to take my guys to the local library to choose some books, DVDs or games to borrow over the holidays. This is an extreme weather winner too – a calm indoor activity for wet, windy or hot days. 14. Hit The Flicks – we always go to the movies over the holidays – it’s a great way to kill a morning or afternoon and is relaxing for everyone. These holidays we’re keen to see Christopher Robin and the new Jack Black movie. To keep things budget friendly, we BYO popcorn and drinks and go to the super saver sessions. For something different, head to an IMAX session. 15. Bike Ride/Scoot – it can be hard to find time to exercise when the kids are at home. A family bike ride or scoot to the park (our guys like to kick the footy at a local oval) or to a cafe, can be a winner all round. 16. Day Trip – if you’re in Melbourne, The Royal Melbourne Show is on and is always a great day out. For my tips on how to approach it, head here. The Tesselaar Tulip Festival is also on these holidays. If it’s a nice day, head to the beach or somewhere along the coast. 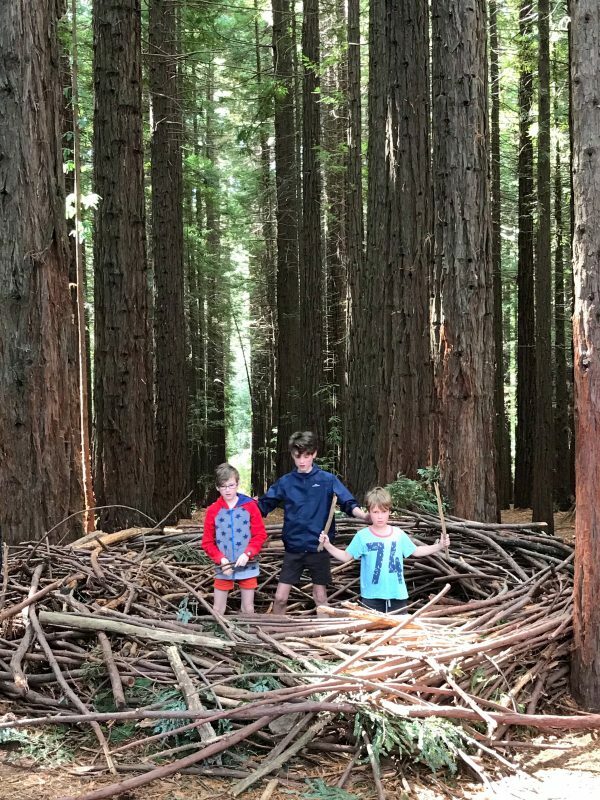 We recently discovered the Redwood Forest out of Warburton, pictured above, which the kids loved too. So what are your plans for the holidays? What are your favourite budget friendly activities?